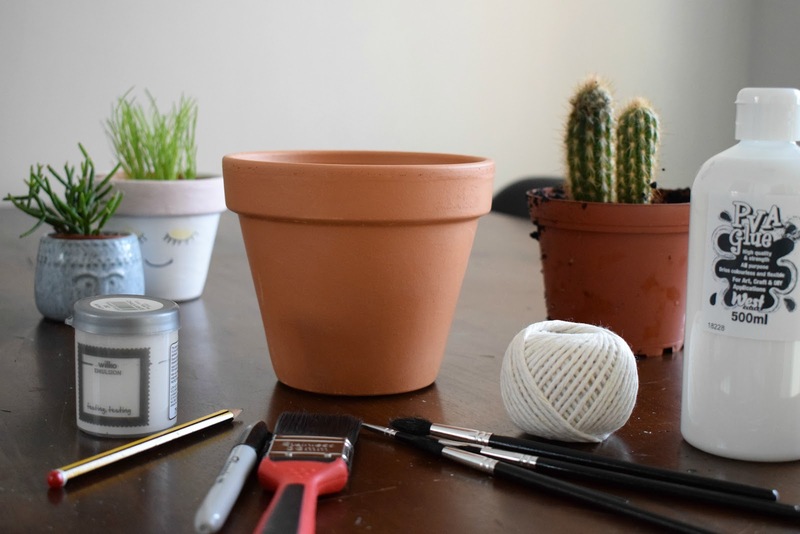 Recently I have ventured into sharing home makeover posts, but this is my first DIY post, so do bare with me, and I hope you like it. For my first DIY post I'm going to show you how I made this cute/funny cacti pot, just in case you want to make one to, it would make a great gift or just look quirky in your home. The best bit is it costs next to nothing to make and I picked everything up from my local Wilco. 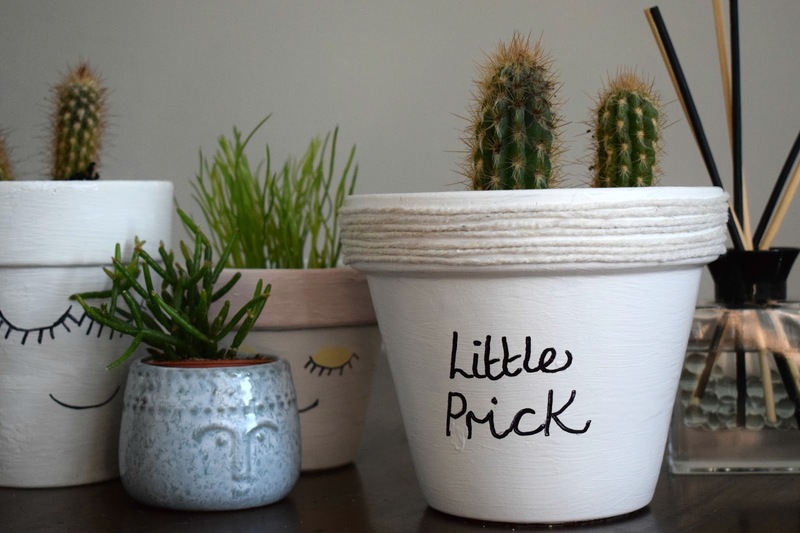 You will, a terracotta plant pot, tester pot of paint, pva glue, string/twine, paint brushes and sharpie pen. 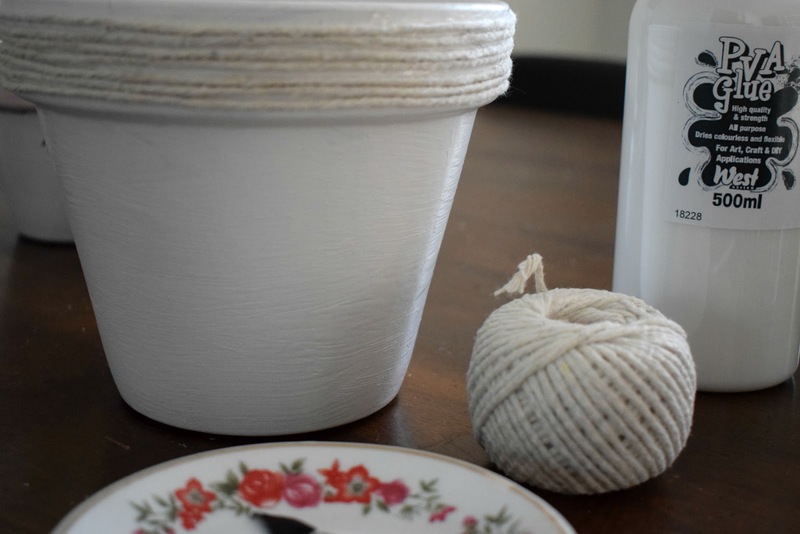 Paint the plant pot with the white paint and allow to dry completely, I only needed one coat but it will depend on the paint you use. 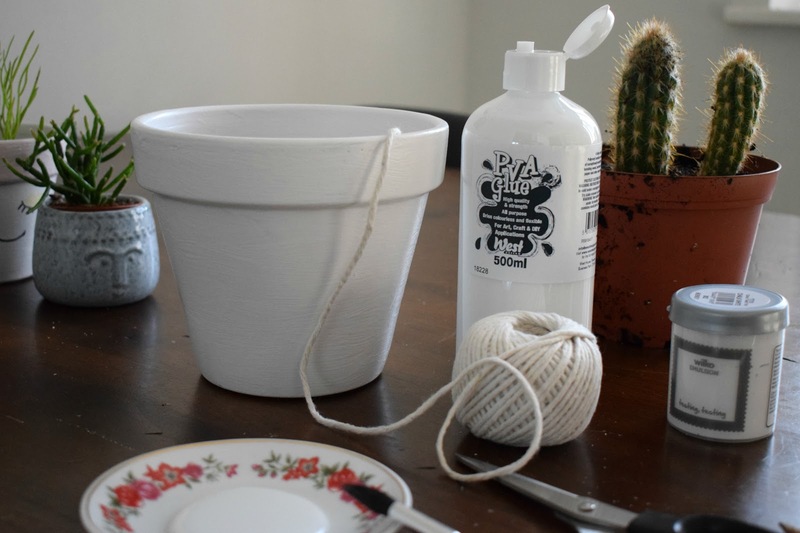 Paint pva glue around the rim of the pot, then carefully wrap the string around the pot until the rim is covered, cut off the string then paint the area with more pva to seal it. 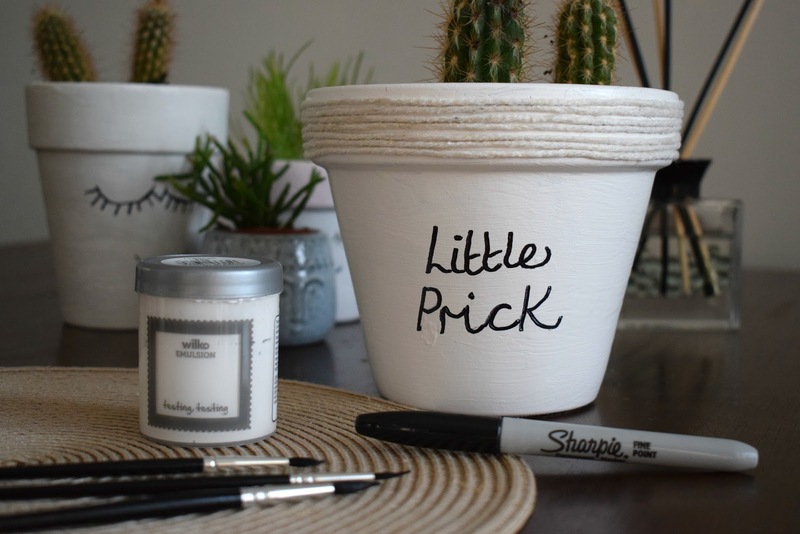 Write the words on the front of the pot in pencil, once happy go over in a black sharpie pen. 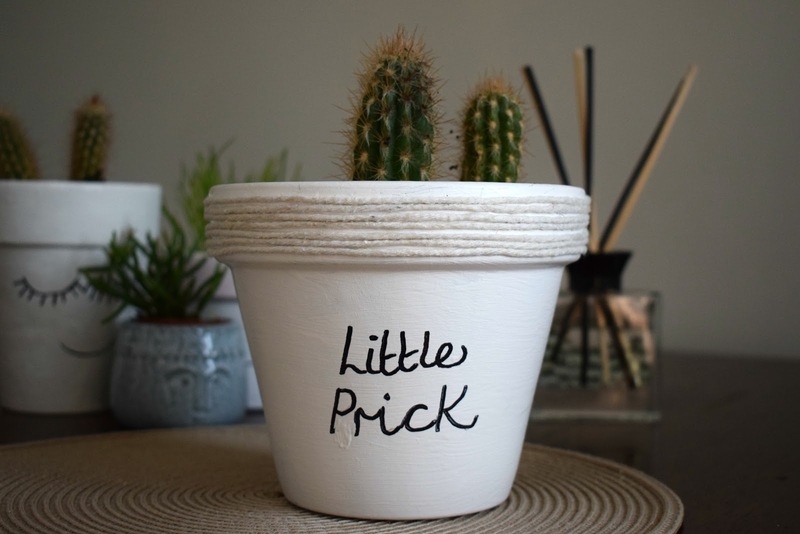 I went for "Little Prick" but you can write whatever you want. Pop your plant inside, and find the perfect spot in your home. 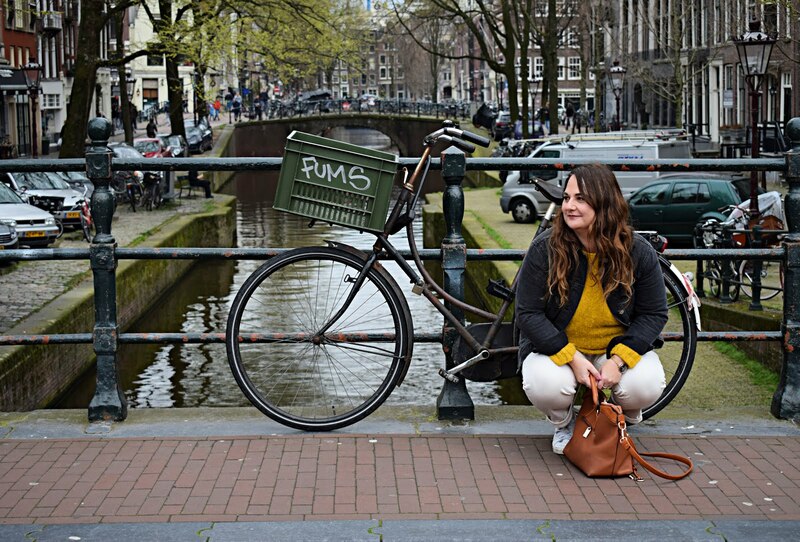 Oh girl, you are my one of top inspiration! Such a great post!